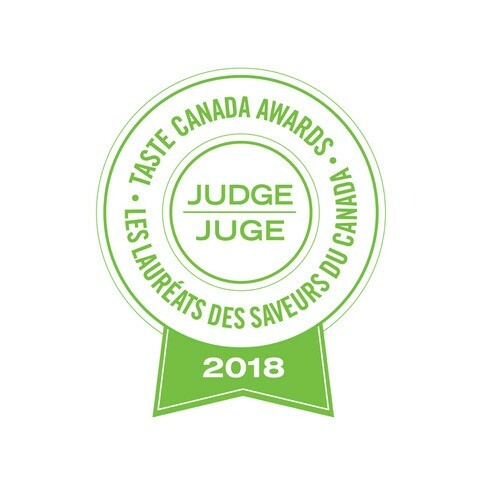 Here are a couple easy cheesy savoury truffle appetizer recipes I demonstrated at the Thyme to Cook kitchen store in Guelph a few weeks ago. Serve these at a party and it’s rather like each guest has their own mini cheese balls! In a medium bowl, stir together cream cheese, Cheddar cheese, ham, garlic powder, and green onions until well blended. Cover and refrigerate mixture for several hours until chilled. Using mini ice cream scoop, melon baller or teaspoon, shape mixture into 24 (1-inch/2.5 cm) balls. Roll balls in nuts until coated. Cover and refrigerate until ready to serve. * Cheese truffles can be made any size you wish. You can shape them with your hands if desired but they don’t have to be perfectly round. * Roll truffles in chopped fresh parsley, shredded cheese, or toasted sesame seeds or fine bread crumbs. 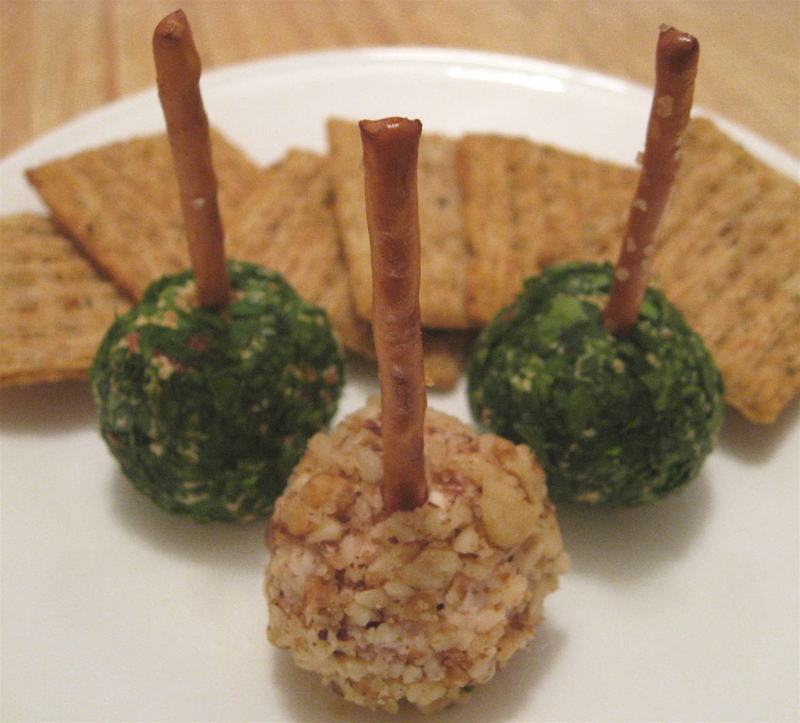 * Poke pretzel sticks into cheese truffles for easy serving. 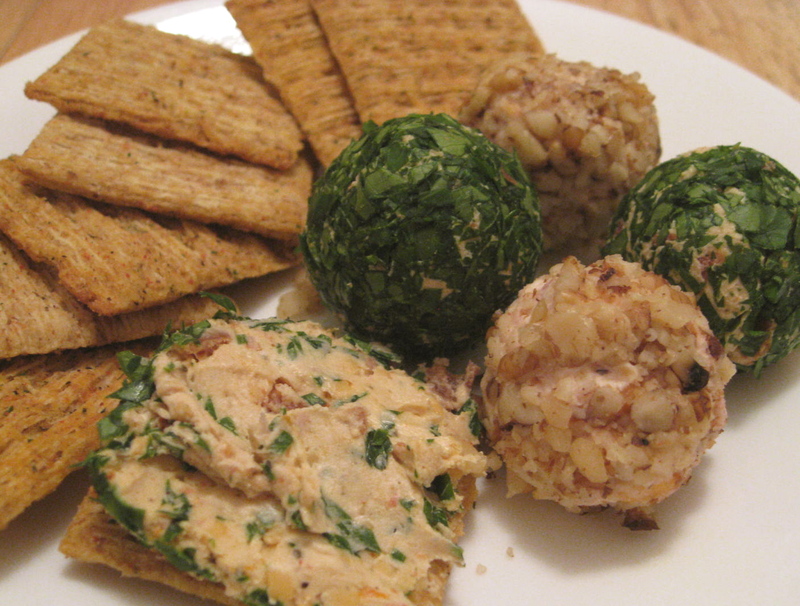 * Mixture can be shaped into one large cheese ball, if desired. In a medium bowl, stir together cream cheese, Parmesan cheese, sun-dried tomatoes and basil until well blended. Cover and refrigerate mixture for several hours until chilled. Using mini ice cream scoop, melon baller or teaspoon, shape mixture into 24 (1-inch/2.5 cm) balls. Roll the balls in herbs or cheese until coated. Cover and refrigerate until ready to serve. * Use an herb paste instead of fresh basil, if desired.